After a year of existence, I thought this blog could do with something new. Mood boards perhaps? Designer-at-large Mirz was roped in to join me, after all there’s just two of us most of the time. After two short discussions, we trawled book stores and craft shops to choose our tools and materials. We went our separate ways to make mood boards on our own. Ever since my grandnephew was born in October last year, I’ve been having these tender feelings which I can only describe as maternal. Moi! Middle-aged, childless and a workaholic! 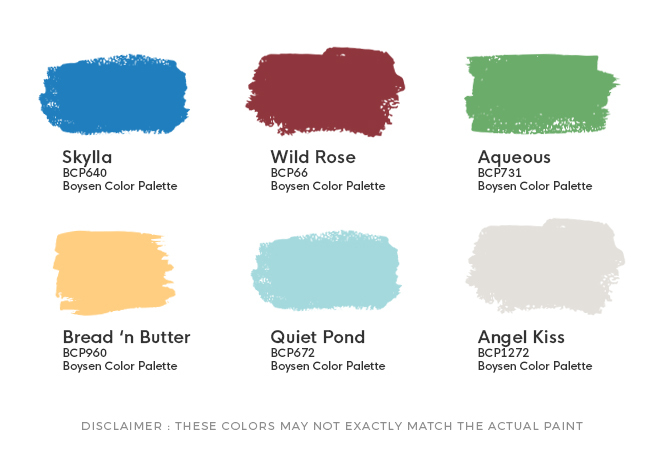 When I looked through the blog to make a video for the blog’s first anniversary in February, I discovered that I wrote something about baby rooms entitled The Grey Palette as an Alternative for Baby Rooms in November, a few weeks after he was born. Not a day goes by that I don’t think about the baby boy, whom the family affectionately calls by many names. Mine are Bochok, Bochokokoy or Chookie. His aunt calls him Bokie and Boobie. His uncle calls him Tuko because Bochok loves to stick his tongue out, even while sleeping. A friend calls him Buchik. His great grandmother is irritated with all of us and insists, and rightfully so, that we call him by his name Miguel. After working in different organizations, I turned to more creative pursuits while living in what was at that time the design capital of Europe, The Netherlands. I was importing high-end, handmade, contemporary home accessories from the Philippines. I had to stock three wholesale outlets, one retail store, and one showroom. My responsibilities included buying, curating, styling and marketing. When Pinterest was launched in 2010, I started digitally making boards, which is a collage of photos, text, color palettes, textures, or objects, that helped me with design direction. It was an important tool to make design ideas tangible, to streamline the design process which provided me the means to capture ideas and inspiration for room interiors. But for Let it B, I wanted to do something nondigital, something I could do mostly by hand. Somehow I find it very satisfying to cut, tape, paste, search in shops, magazines, the internet, wherever, for inspiration and ideas. 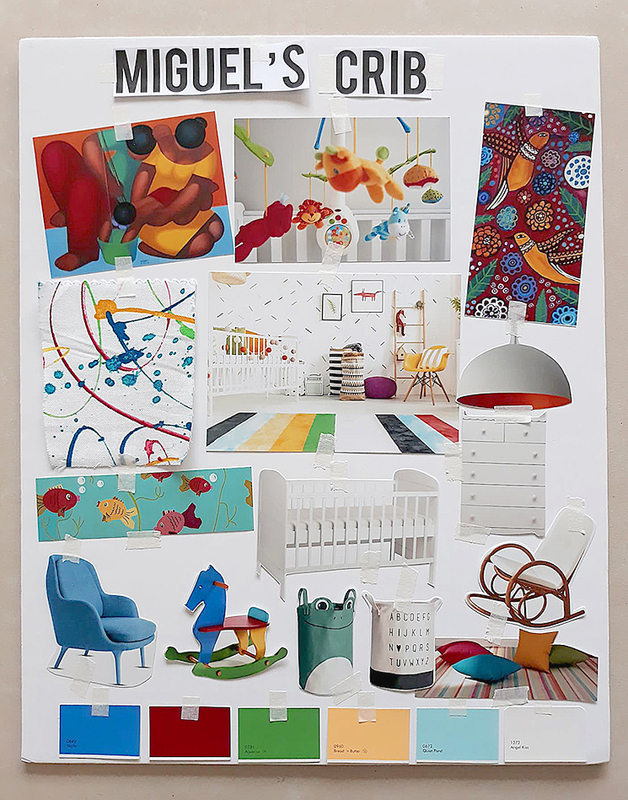 If you enjoy dreaming about colors and interior styles, making a mood board is a wonderful way to give yourself focus. There’s no wrong or right. 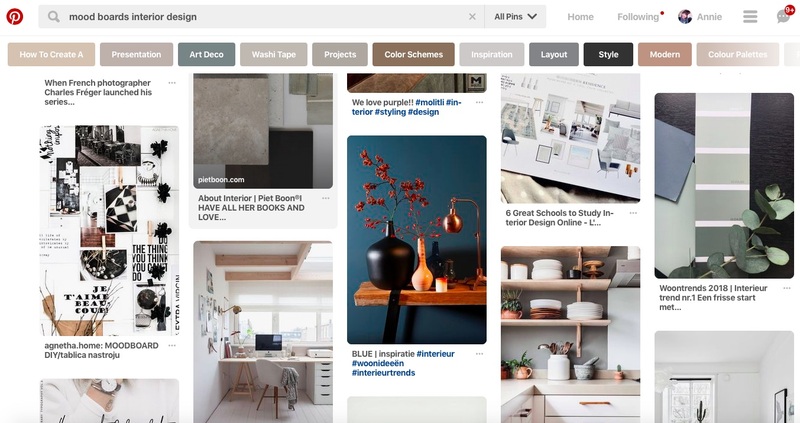 If you leaf through magazines and see images or ideas that inspire you, or see patterns and colors that you find attractive as you go about your day, then try to put all those ideas in a mood board. Even nature can be a source of inspiration. You might even find it extremely enjoyable and relaxing like I do. Don’t forget to send us a photo of your mood board! Just email to info@myboysen.com.